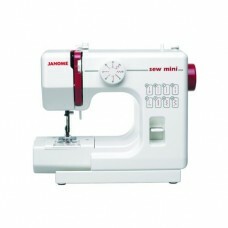 Janome Sew Mini is made in the same factory as Janome's full size sewing machines. The Janome SewMini has many of the same features. The Sew Mini is a great second machine for the experienced user, a starter machine for the young enthusiast or perfect for travel.